Three years ago I came to my Bosses with an idea. I wanted to start a blog, and I wanted to grow their business with it. I wrote out all the reasons why it’d make them rich and famous (that didn’t work out so much) and I even turned in some sample blog posts. I wanted to write about the funny stuff that happens in our office, and I wanted to teach people about mortgages in a way anyone could understand. I also wanted to make fun of my bosses. I wrote about my Boss Chad’s heart attack, I wrote about my Boss James and his flowcharts, I wrote about how they worked so hard to grow their business, how they held on during the downturn. I wrote about how now they’re doing really well and have hired more mortgage bankers. And I’ve written about all of those new people. 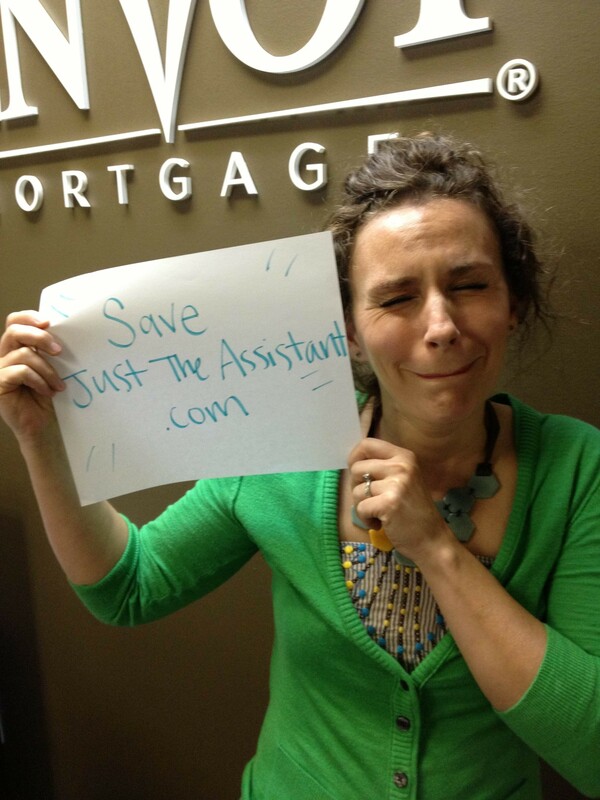 When Hottest Mortgage Banker in Texas Hayley got engaged, I wrote about it. When Online Dater Jason caught the flu, I wrote about it. When Richard spoke Spanish, I wrote about it. I wrote about V-Shaped Mortgage Banker Will and his gambling tricks, how Nikki might join PETA, Just So John and his bathroom dilemmas, Straight Shooter Shane and how he may try to take over the branch, Hipster Andie and her bad day, Rachelle and her germaphopia, Front Desk Wonder Lady Christi and how she protects us, Hollywood Insider Gobe and her VA loan wizardry, and I wrote about everything in between. And it all might come to an end if my silly ole Bosses get their way. My ole Bosses say they will throw me a party, a Save the Blog party. If I can get FIFTY readers to show up, they will allow me to continue this blog. If not, it’s off with Just the Assistant’s head. Who: All of you! Seriously, if you have ever read my blog and want to read it in the future, come! Pass this post along and beg your friends to join you! 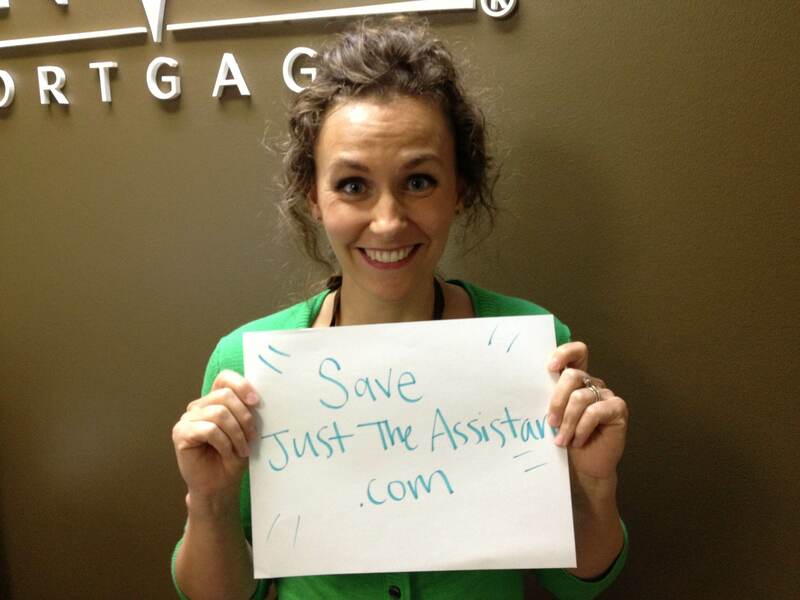 SAVE THE BLOG! When: June 13th 5:30 – 8:30 – come for the whole time, part of the time, whatever you like. What: A Save the Blog Party! We’ll serve food and drinks and a smashing good time! Why: My Bosses are losing their minds. IMPORTANT: The only way to RSVP for this party is to comment below or email me directly. So help me out, dear readers. This blog is the highlight of my workday. Help me keep it alive. And finally, I want to hang out with you all! And I want you to meet my crazy co-workers! Jason may ask you out! Will may break your arms! John may pose with you so you can get a picture of his mermaid shirts! James will draw you a flowchart. Andie will tell you she’s not having a bad day, and you can meet Sandra and Britt and Janean, my three new teammates whom I haven’t made fun of yet. i’m in!!!!!!!!!!!!!!!!!!!!!!! you are staying JTA!!!! 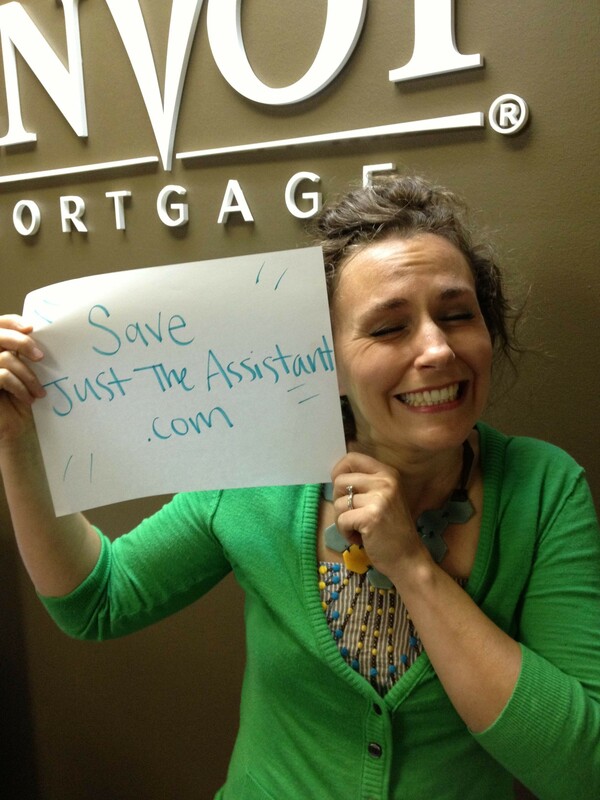 As an UNDERWRITER at Envoy I love the blog!! Gives me a unique insight to the minds of our production group!! So KEEP THE BLOG, I’m not the only UW that reads it :). And if that’s not enough, I can’t help but see a Zugheri wants the blog to stay… shouldn’t that be enough said? I’ll be there. I will try to bring all my peeps too! I’m in! So glad Christi invited me!! I’m in Louisiana. I will be there in thought if I can’t be there physically. That does count doesn’t it? And if it doesn’t it should as my daughters boyfriend just got his home loan through Envoy. I told her to tell him to put JTA up at the top of the page so that you would get credit. Ok, ok, so we know Chad’s daddy! And Chad, kinda sorta! Would love to bring the whole family if just a a a few hours closer!!! I will do my part to save the blog! I’m there! Adam and I will be there! We just may save this blog! I can’t wait! We will have a great time and save your amazing blog! You are our sunshine and you’re here to stay! If Skyping in readers count, lemme know! I would love this blog to keep going…. please send the word out!!!!! Would totally be there if I lived closer! Have to save the blog, I can’t make it through the week without reading your blog and laughing out loud at work, which I turn makes my co-workers read it!! Would bring my whole office but we all live in Beaumont!! Just not fair!! That makes me so happy! Hate it you won’t be able to come, but I love it that you read and laugh! We will be there or be SQUARE! i’m for sure there!! if they get rid of this blog, then i’m definitely taking over the office. First one’s on the chopping block will be the ol’ bosses!! Kathy and I will be there…this counts as two, right?! Yippee! Shoot yeah it counts as two! Did you count me and the twins?!@. We’ll be there long distance – they’re not socially acceptable yet. Nor are they potty trained or politically correct. Same thing, ya know! BTW – They’re 2 1/2. I will be there and will be bringing 500 of my closest friends. I sure hope we’ll have enough booze. I’ll be there! Gotta save the blog – I love reading. Hilarious! Christina, the Rwanda team dinner was awesome last night. Thanks so much to you and Benson. I’m definitely coming next Thursday to save the blog! Save the blog from Georgia! Sadly, I’ll miss the party due to my location. I must help save the blog. I’m in! Jimmy will come if can later but ill being friends!! You should create a google hangout so the people who can’t attend physically can attend via the internet. I am out of town so can’t make it but really really enjoy reading your blog! I cannot wait to save the blog even if it means getting ripped on it! I’ll be there! In kickball attire! !